Beijing on Tuesday denounced a US report accusing the Chinese government of impeding access to Tibet as “full of prejudice” and warned that continued interference in the Himalayan region could damage US-China relations. The US State Department’s report “disregards the facts, is full of prejudice and the Chinese side will never accept it”, said Chinese foreign ministry spokesman Geng Shuang at a press briefing in Beijing. “We urge the US side to… stop using Tibet-related issues to interfere in China’s internal affairs so as not to cause damage to China-US relations and cooperation and exchanges between the two countries”, he added. 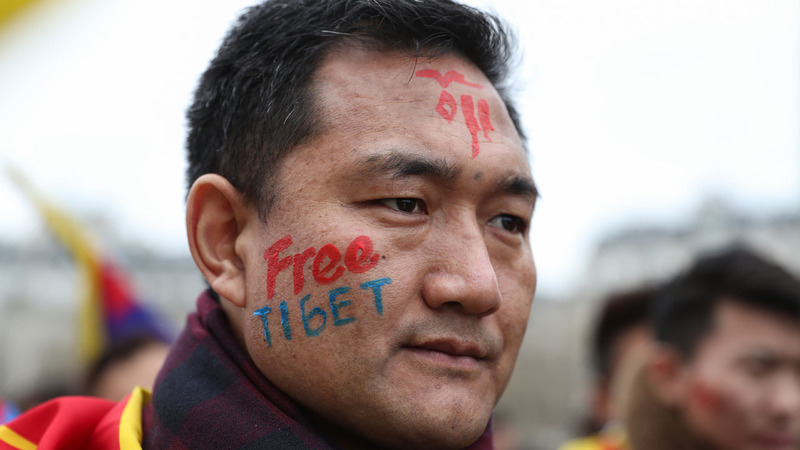 The report, which was released Monday, details issues with access to Tibet, including restrictions that have prohibited diplomats, journalists and ordinary citizens from visiting the mountainous region. According to the report, five out of nine US requests to visit Tibet were rejected last year, including one by Ambassador Terry Branstad. Beijing — which claims it “peacefully liberated” the Himalayan area — also stands accused of political and religious repression in the region. At least 150 Tibetans have set themselves on fire since 2009 in protest against Beijing’s presence in Tibet, most of whom have died from their injuries. It has also defended restricted access to the region as a result of “special geography” and “climatic conditions”, and has said China welcomes more visitors to travel and do business in Tibet. The State Department report was part of the Reciprocal Access to Tibet Act passed by US lawmakers in December. The law — which China has strongly rebuked — requires the United States by the end of this year to deny visas to Chinese officials in charge of implementing policies that restrict access for foreigners to Tibet. On Tuesday, Geng called the Reciprocal Access to Tibet Act “gross interference” into China’s internal affairs that sends the “wrong signal” to Tibetan separatists.